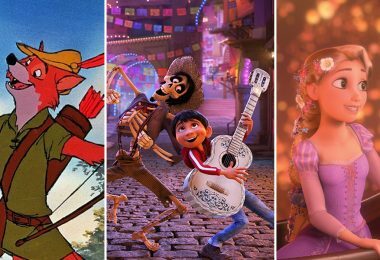 Catch a sneak peek at Disney’s upcoming Dumbo and Aladdin, and see the latest adorable short from Pixar Animation Studios… Read more, along with other news from around Disney, in this week’s news briefs! Here’s a bit more about what we can expect: Circus owner Max Medici (Danny DeVito) enlists former star Holt Farrier (Colin Farrell) and his children to care for a newborn elephant whose oversized ears make him a laughingstock in an already struggling circus. But when they discover that Dumbo can fly, the circus makes an incredible comeback—attracting entrepreneur V.A. Vandevere (Michael Keaton), who recruits the peculiar pachyderm for his new spectacular, Dreamland. Dumbo soars to new heights alongside a charming aerial artist named Colette (Eva Green)—but eventually, Holt realizes that beneath its shiny veneer, Dreamland is chock full of dark secrets. Look for Dumbo to reach new heights this March 29! Not to be outdone, the all-new live action retelling of Disney’s Aladdin—set to take flight this summer—revealed a brand-new trailer this past weekend as well… in which we get our first look at Will Smith as the azure-hued Genie. 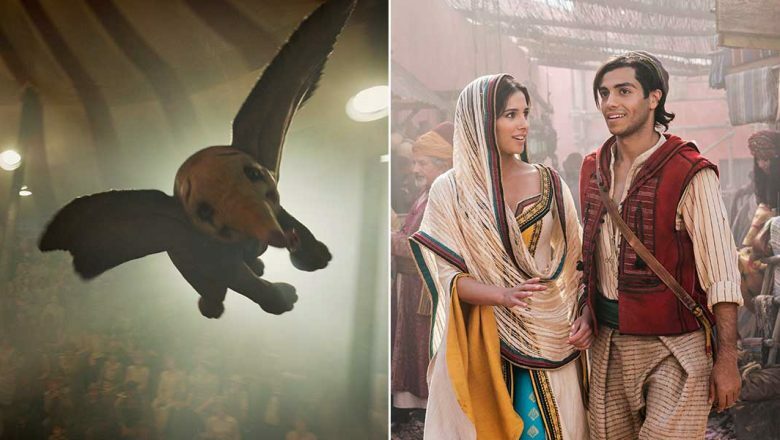 Also starring Mena Massoud as the charming street rat Aladdin; Naomi Scott as the courageous Princess Jasmine; and Marwan Kenzari as the evil vizier Jafar, Aladdin (directed by Guy Ritchie) will kick off its magic carpet ride on May 24. There’s a new short out, created for Pixar Animation Studios’ cool SparkShorts program—and it’s sure to put a smile on your face! Directed by Brian Larsen and produced by David Lally, Smash and Grab tells the story of two über-cute robots who dream of escaping their exhausting day jobs. 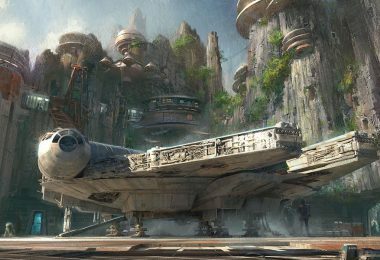 Check out the short, and get some behind-the-scenes scoop, right here at D23.com. The opportunity to take to the skies in order to travel from several Walt Disney World Resort hotels to both Disney’s Hollywood Studios and Epcot grows ever closer… Just this week, the Disney Skyliner system hit another incredible milestone when the first gondolas completed a successful test run back and forth between Disney’s Caribbean Beach Resort and Disney’s Hollywood Studios. Walt Disney Imagineering associate project manager Steve Pratt recently told our pals over at the Disney Parks Blog that there’ll be more gondolas added soon—as well as “cycling” on the line—as teams continue testing and training. Congrats to everyone involved! 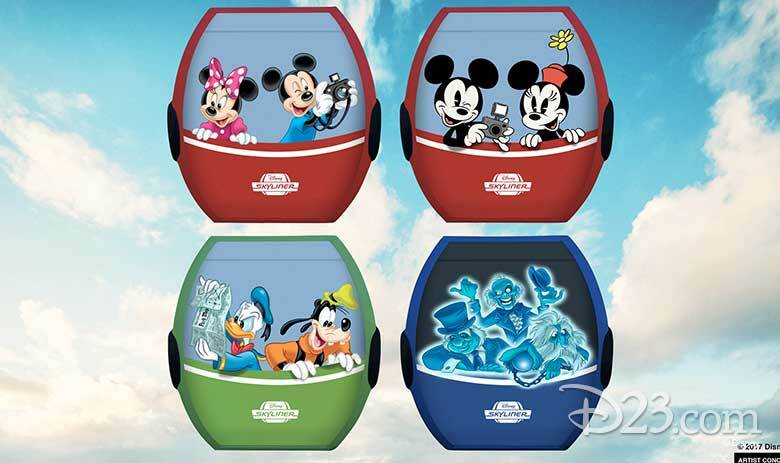 This state-of-the-art gondola system will begin transporting guests at the Walt Disney World Resort beginning later this fall. A Delightful Deluge of Breaking Disney Channel News! We can’t believe how much there is to look forward to from Disney Channel in the near future… First off, they’ve just announced that ZOMBIES 2—the highly anticipated sequel to 2018’s ZOMBIES—will begin production shortly. Stars Meg Donnelly and Milo Manheim will be reprising their roles as Addison and Zed, respectively, and the Disney Channel Original Movie will pick up as the couple—after a groundbreaking semester at Seabrook High—continues to steer both the school and their community toward unity. But the arrival of a group of mysterious werewolves threatens to shake up the newfound peace… and causes a rift in Zed and Addison’s budding romance. 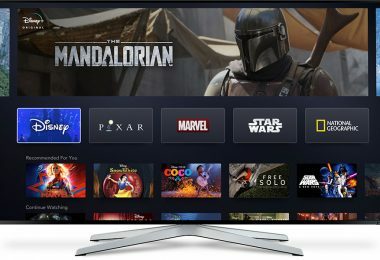 Look for more news on ZOMBIES 2 as it becomes available. 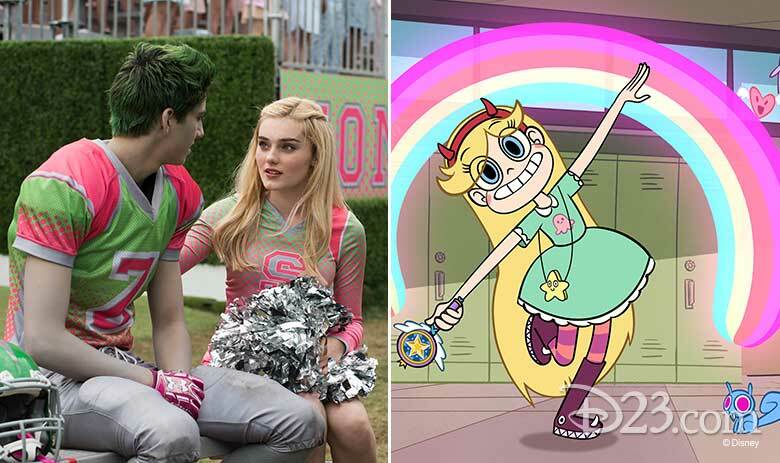 But that’s not all: The final season of Star vs. The Forces of Evil is set to kick off on Sunday, March 10, at 8 a.m. EST/PST on Disney Channel and Disney XD—and it’ll feature a host of celebrity guest stars, including Tony Hale (Arrested Development), Daniel “Desus Nice” Baker and Joel “The Kid Mero” Martinez (Desus & Mero), and Danielle Fishel (Girl Meets World). 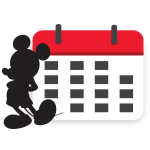 Following the season premiere, new episodes will premiere on Sundays throughout the spring on Disney Channel. Mark those calendars and get ready for some galactic and zombie-fied fun! Last year, the fine folks over at Marvel partnered with a nonprofit group called Young Storytellers to give middle school students the chance to write—with mentorship from a Disney employee—their very own stories based on Marvel Rising: Secret Warriors… and boy, were the results amazing! In the clip above, check out how Young Storyteller Corryn used Marvel fan-faves Squirrel Girl, Ms. Marvel, Quake, and super villain Exile to explain the ins and outs of friendship. Working with their Disney mentors, each Young Storyteller wrote a three- to five- page script using characters from Marvel Rising; narrated by actress Skai Jackson, the stories were then performed by a memorable cast of Marvel Rising and Marvel Animation voice actors, including Chloe Bennet, Roger Craig-Smith, Kathreen Khavari, Kamil McFadden, Melanie Minichino, and Milana Vayntrub. The first episode, featuring Young Storyteller Ruby’s “America’s Backstory,” debuted online last week. Keep your eyes peeled for more new episodes, premiering each week for seven weeks—they’re sure to be just as entertaining! It’ll soon be one of our favorite times of the year… the time when Disney California Adventure park is positively replete with even more delicious food and beverage than normal! 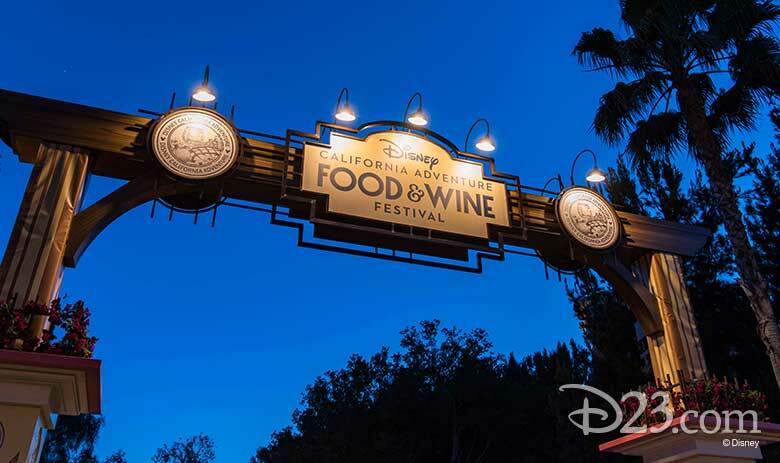 Yes, this spring, the ever-so-popular Disney California Adventure Food & Wine Festival returns to the Disneyland Resort—and for this go ‘round, the festival runs for a whopping 54 days, from March 1 to April 23. Guests of all ages can discover the beauty and celebrate the bounty of California with unforgettable cuisine, beverages, and entertainment during the event—which will feature 14 different Festival Marketplaces, each with a different menu inspired by fresh, California-grown ingredients. 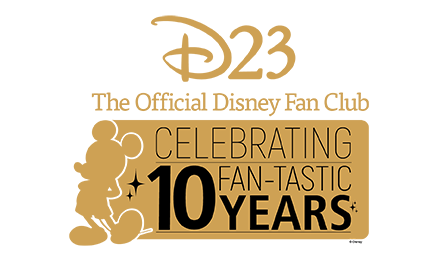 (Attendees may choose to purchase the Sip and Savor Pass to get the best value as they “taste” their way through those Festival Marketplaces and other participating locations.) Plus, the Backlot Stage in Hollywood Land will offer up culinary demonstrations on Fridays, Saturdays, and Sundays—as well as fun for those smaller chefs in your life during the “Junior Chef” experience with Chef Goofy. And let’s not forget the Festival’s signature events, this year including an appearance by celebrity chef Guy Fieri. Find out more about the Disney California Adventure Food & Wine Festival—and make reservations for signature events—at Disneyland.com/FoodandWine. Searching for a quick cruise that still offers you all the incredible fun of Disney on the high seas? 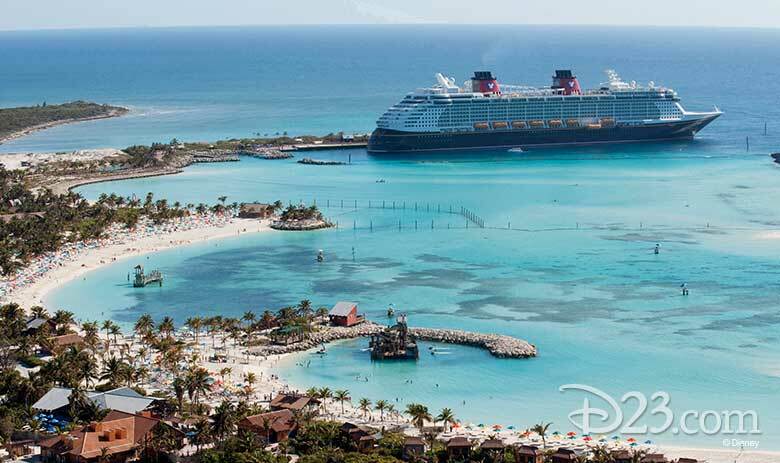 Then look no further than Disney Cruise Line’s August 2019 three-night cruise aboard the Disney Fantasy—which will be sailing out of Port Canaveral to both Castaway Cay and Nassau, Bahamas. It’s the only three-night offering from DCL all year long… and it’s the perfect end-of-summer escape for you and your family and friends. The Disney Fantasy has several unique experiences not offered on any other DCL ship; it’s the only vessel in the entire fleet on which you can view the phenomenal Disney’s Aladdin – A Musical Spectacular and Disney Wishes shows, as well as Mickey and Minnie’s Surprise Party at Sea celebration, while onboard. Plus, it’s the only vessel to feature an adults-only entertainment destination called Europa, which includes three exclusive venues: Ooh La La (for drinks and conversation), The Tube (to dance the night away), and the romantic La Piazza. Do check out DisneyCruise.com to find out more about this incredible three-night Bahamian itinerary on the Disney Fantasy. Maybe we’ll see you onboard?